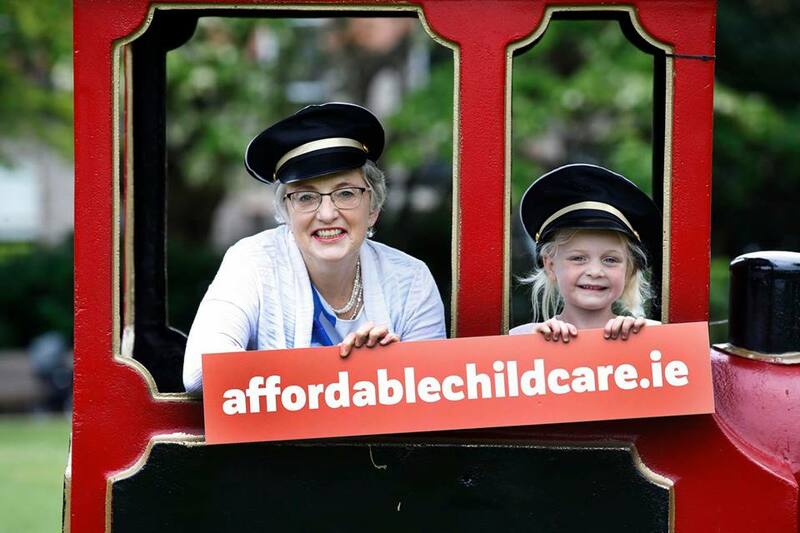 The Minister for Children and Youth Affairs, Dr. Katherine Zappone T.D., today launched a public information campaign about the Government’s plans to deliver More Affordable Childcare to families from September. This campaign will target thousands of families who will qualify for enhanced childcare supports from September. It also will also target more than 4,000 childcare providers throughout the country. “For decades, several Governments of all political persuasions have struggled to come up with an equitable way to make childcare more affordable. After many false dawns we are now finally on the road to taking those first steps towards easing the burden of childcare costs on hard pressed families. My objective in tackling this issue head on is to ensure that access to affordable childcare is not a barrier to anyone who wants to participate in education, training or the labour market. This, I believe, will not only help parents who wish to return to work, but it will ultimately have a positive impact on upskilling thousands of people while simultaneously reducing child poverty in Ireland. A new non-means tested universal subsidy of up to €80 per month for all children aged between 6 months and three years in full time registered childcare; and increases of up to 50% in targeted childcare subsidies for children up to age 15. These subsidies, which will subsidise the cost of full-time registered childcare for families by up to €145 per week will be provided through existing schemes, the Community Childcare Subvention (CCS) and Training and Employment Childcare (TEC) Schemes. “I am confident that these enhanced childcare supports will have a meaningful impact for recipient families, particularly for those on very low incomes” the Minister said. “I am also aware that delivering these enhanced childcare supports is only possible because of the commitment and co-operation of more than 4,000 childcare providers throughout the country. I want to acknowledge their continuing support and, in recognition of their invaluable contribution, I will be asking for extra funding during Budget 2018 negotiations so we can address some of the issues raised by childcare providers”.